Now it is our pleasure to announce the artist from whom we have commissioned a painting for the book cover of He Restores My Soul. Rebecca Shewmaker is an artist working in the Dallas-Fort Worth area. She holds a Bachelor of Arts in Art History and Visual Arts from Rice University (2006) and a Master of Fine Arts in Painting and Intermedia from Texas Women’s University (2018), where she also taught Art Appreciation, Watercolor, and Basic Drawing classes. Recently her work was included in the Good Shepherd Institute’s Sola Faith-Grace-Scripture exhibition at Concordia Theological Seminary in Fort Wayne, Indiana. Selections from her body of work have been shown in several galleries in the Dallas-Fort Worth area, where she lives with her husband, Tim, who is the music director at Our Redeemer Lutheran Church in Dallas. When not making art, Rebecca enjoys singing in the church choir, knitting, listening to audiobooks, and entertaining her two cats. We are honored to be working with Rebecca Shewmaker, and we look forward to revealing the cover art this summer! 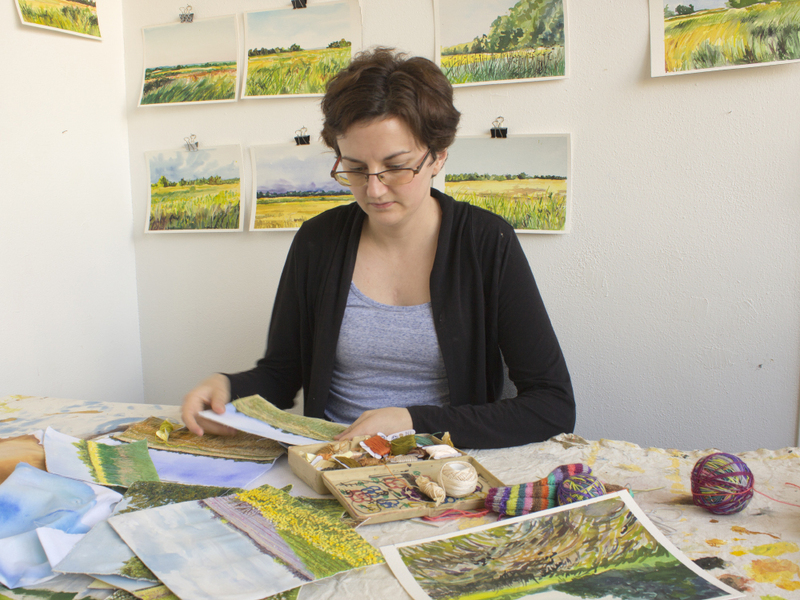 In the meantime, please visit her website to admire her beautiful paintings, including unique thread paintings that use custom-dyed cotton fabric for the peaceful colors of both sky and land. This entry was posted in Latest News and tagged He Restores My Soul, Katie Schuermann, Rebecca Shewmaker. Bookmark the permalink.